Each group you create can have its own unique group email address. You can use this like you would a listserv or group email list. And if you allow your members to post to the group, they can also use the group email address to message the entire group. 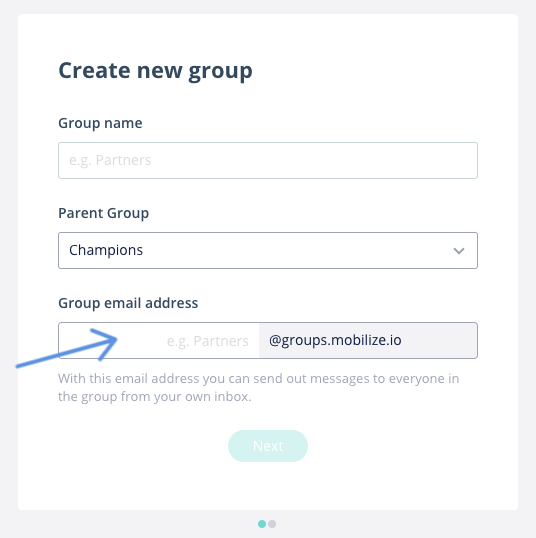 When you first sign up for Mobilize, you'll be prompted to create your group email address. To edit your Group email address later, go to your manager group Settings, choose Email Settings, and click Want to change the group email address?. You'll then be prompted to edit your group email address.